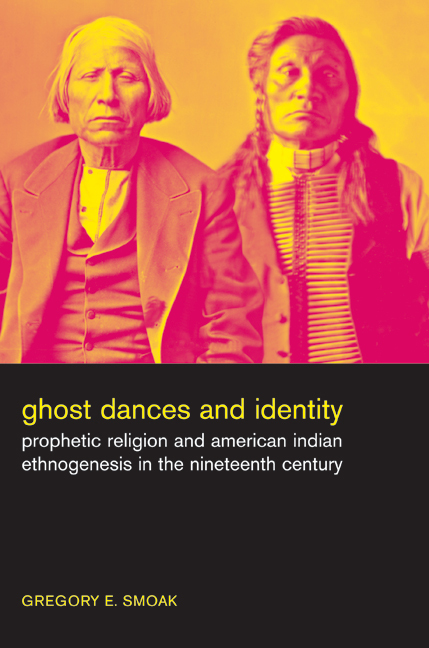 This innovative cultural history examines wide-ranging issues of religion, politics, and identity through an analysis of the American Indian Ghost Dance movement and its significance for two little-studied tribes: the Shoshones and Bannocks. The Ghost Dance has become a metaphor for the death of American Indian culture, but as Gregory Smoak argues, it was not the desperate fantasy of a dying people but a powerful expression of a racialized “Indianness.” While the Ghost Dance did appeal to supernatural forces to restore power to native peoples, on another level it became a vehicle for the expression of meaningful social identities that crossed ethnic, tribal, and historical boundaries. Looking closely at the Ghost Dances of 1870 and 1890, Smoak constructs a far-reaching, new argument about the formation of ethnic and racial identity among American Indians. He examines the origins of Shoshone and Bannock ethnicity, follows these peoples through a period of declining autonomy vis-a-vis the United States government, and finally puts their experience and the Ghost Dances within the larger context of identity formation and emerging nationalism which marked United States history in the nineteenth century. Gregory E. Smoak is Assistant Professor in the Department of History at Colorado State University.